Hi dear my fellow readers. Im so sorry for such a long pause after my last post here, Since my activity is kinda hectic here and i have no time to make any update. 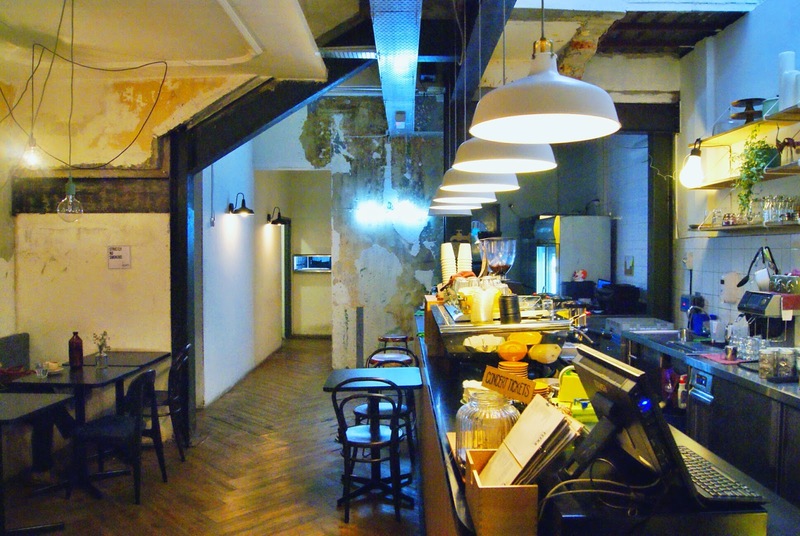 I've been living in Kuala Lumpur Malaysia for at least a month here. So far my stay here was a good one, i've visited some major and famous attractions here in KL that i can't wait anyy longer to share with you guys. 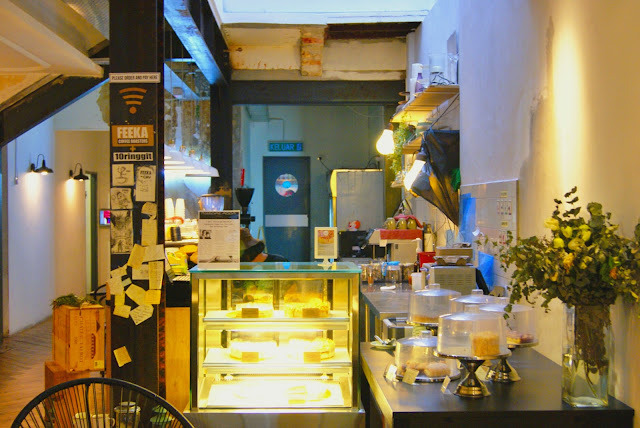 Today i'm just gonna post one of my journey of discovering some best cafes in KL to worth a visit, and the one i got caught of is Feeka, the pretty small cafes around Bukit Bintang. 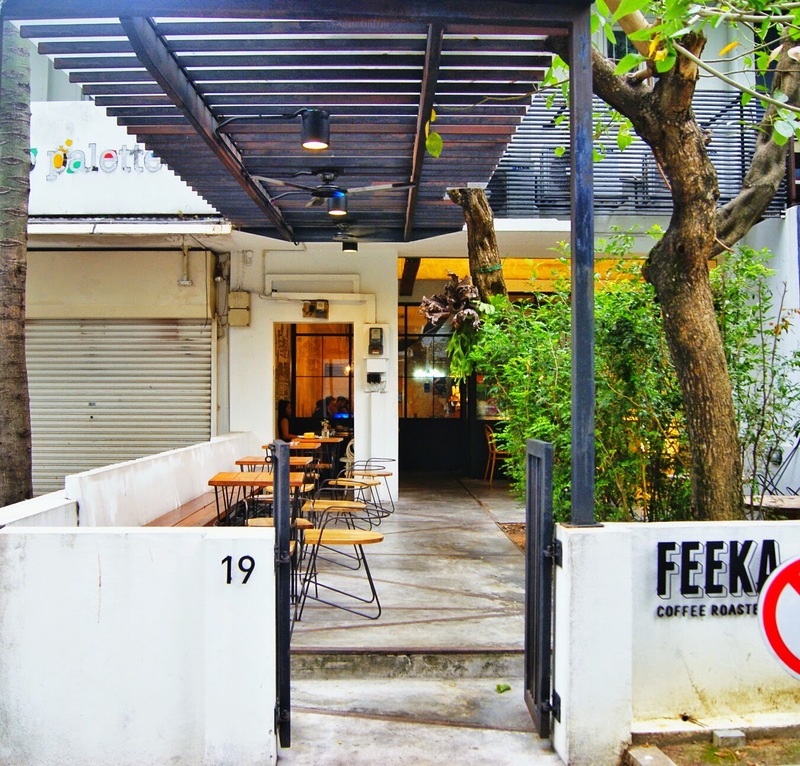 I've been stalking much about Feeka since i'm still in Indonesia, and Feeka is becoming my top list of must visit cafes that worth a visit in KL. 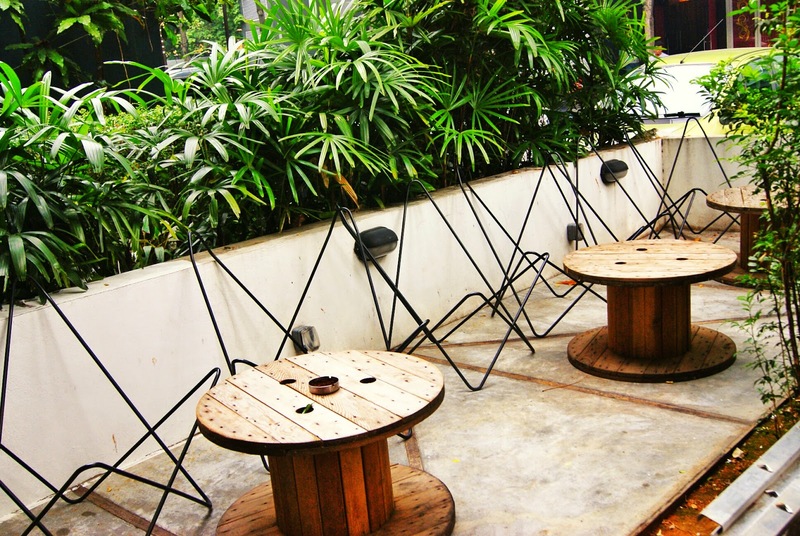 My visit to Feeka was last week when i got my day off on Monday, i arrived there around 5 PM and since it's Monday so Feeka was not full that day but i can see some visitors that day who enjoyed their coffee in such a quality time. Feeka occupies the 1st floor of 2 storey house converted into cozy coffee house, Feeka is such a perfect choices to spend a coffee break during meal time or break from offices, and hangout place after work. 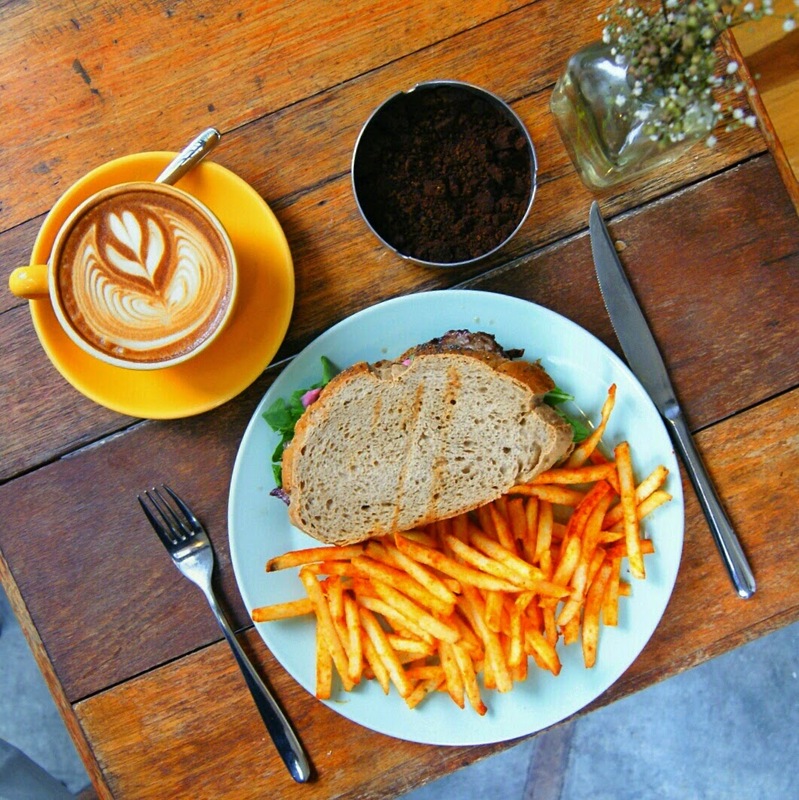 Feeka is not only selling coffee but they're also offering cakes and meals like sandwich the one i ordered. 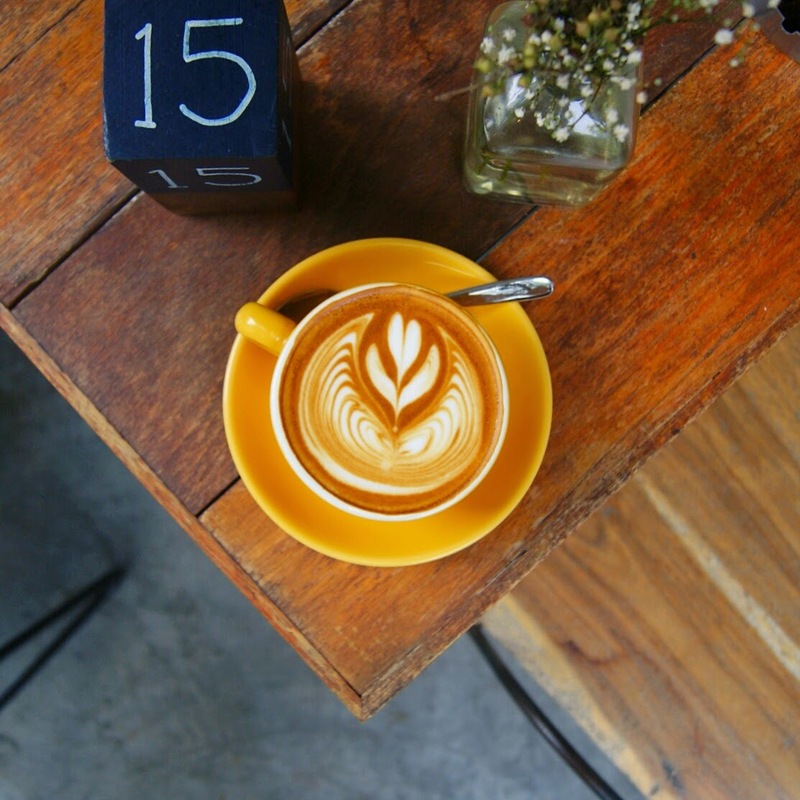 If you like mild coffee, flat white would be the right choices for you, because i'm asking the barista for recommendation since i'm not type of strong coffee drinker. so the choices goes to Flat White, and the barista was right, i like the mild characteristic of the coffee which is not too overpowering. Two thumbs up for the barista here. 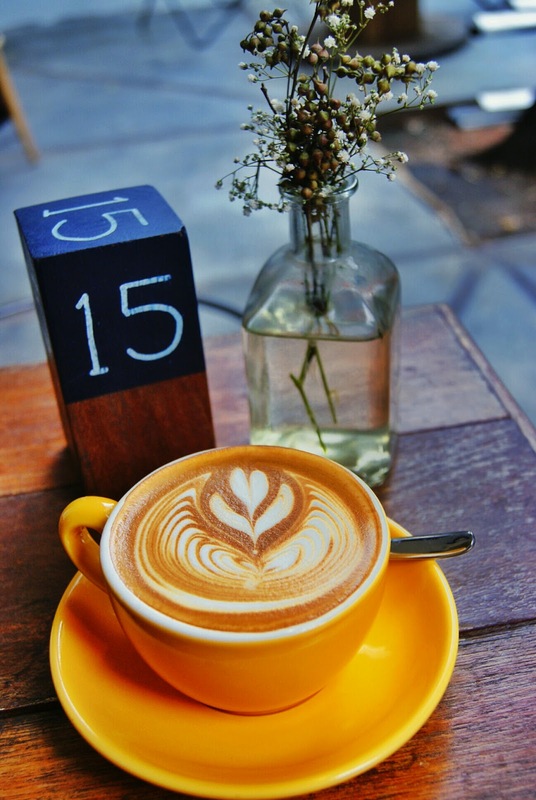 This one also the recommendation from the barista since it becomes guest favorite here so i order this one. 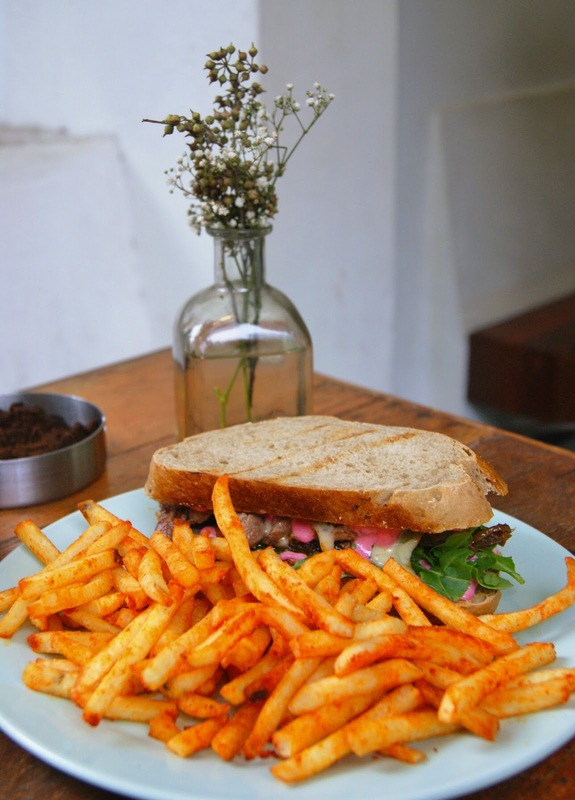 This sandwich is like a mix of western and middle-eastern fusion, it consist of whole wheat toasted bread with slices of grilled beef that marinated with some spices, arugula, caramelized onion, cheese, pink sauce that i found that made of mayonnaise mix with berry, and soury mushy fruit that i don't even recognize the name. Personally i don't like that soury mushy fruit but overall it's quite satisfying since the beef is well marinated and juicy, and all the components mixed in a good way. 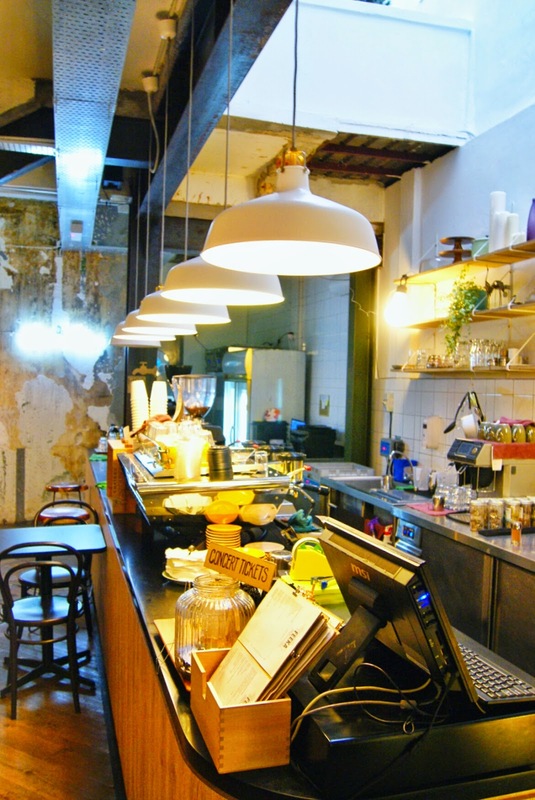 Overall, Feeka is the place to be for good quality coffee seekers in KL. 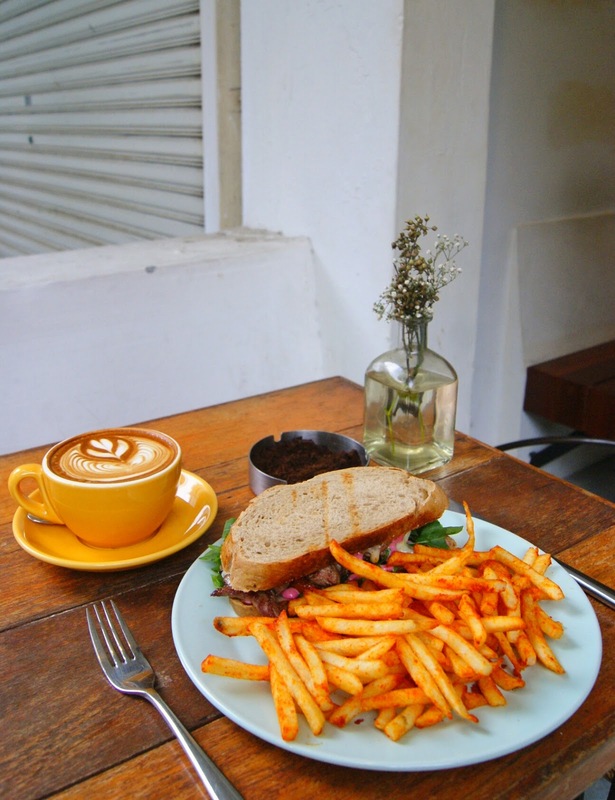 You can visit Feeka on weekdays or during office hours because Feeka is not too packed and you can pick a seat, but don't worry because Feeka is worth a visit all the time because theyr're always serving good coffee and good food.